In fermentation, food is exposed to bacteria and yeasts, which break down protein into easily digestible amino acids that the body can utilize faster. In some cases, blends of high-protein, gluten-free grains are broken down using this process. The result is a gluten-free source of healthy probiotics that can support digestion and immune health. 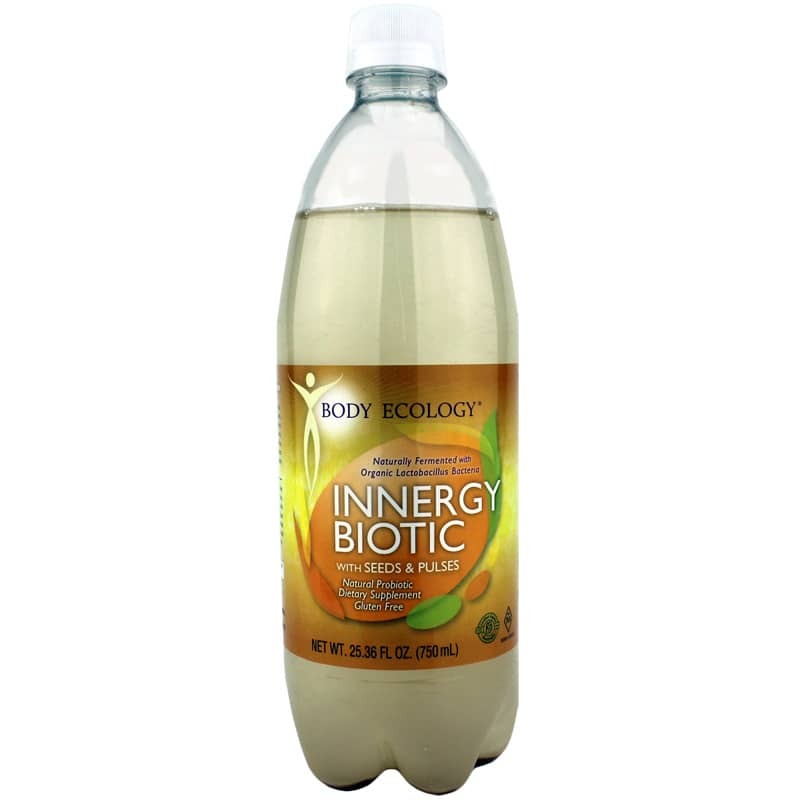 Body Ecology offers a delicious probiotic drink called InnergyBiotic that supports the maintenance of a healthy inner ecosystem. This product is made by fermenting a blend of high-protein, gluten-free grains, grain-like seeds and beans. 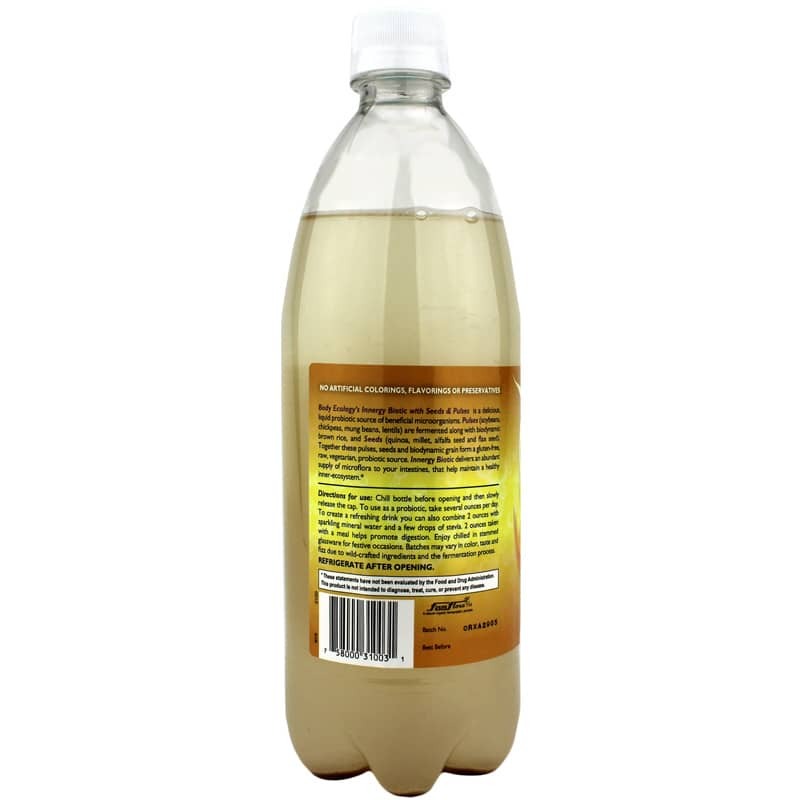 It seeks to revitalize your digestive tract, revive your energy and provide healthy probiotics. InnergyBiotic is free of gluten, dairy, GMOs, soy, and artificial colorings, flavorings and preservatives. If you're looking for a delicious and refreshing source of probiotics to support the maintenance of a healthy inner ecosystem, check into Body Ecology's InnergyBiotic. Order online today! 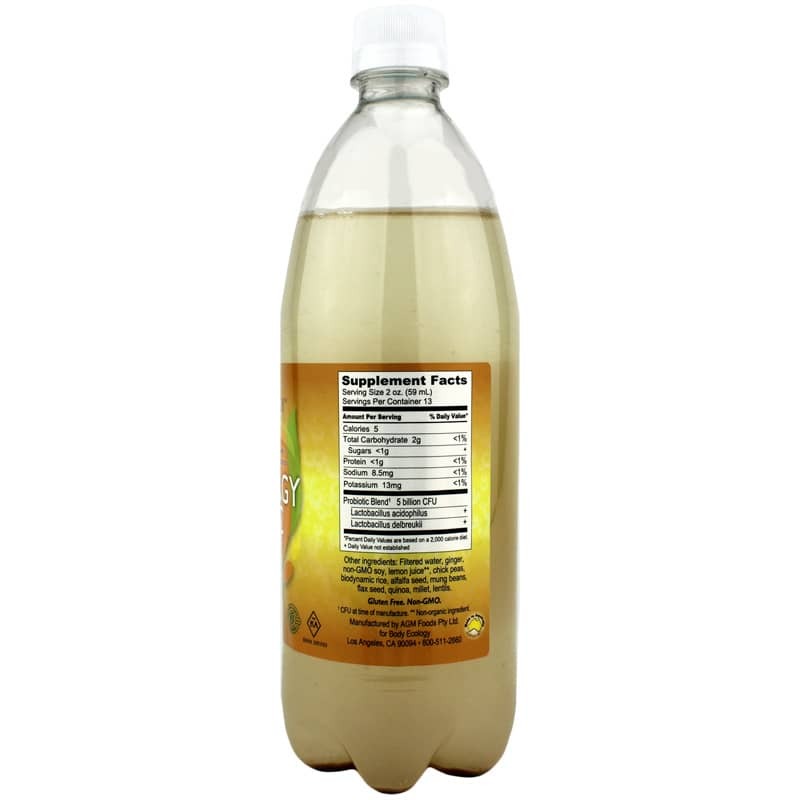 Other Ingredients: filtered water, ginger, non-GMO soy, lemon juice, chick peas, biodynamic rice, alfalfa seed, mung beans, flax seed, quinoa, millet, lentils. This just arrived and I wanted to try it right away as I do have some 'gut' issues. I pour a few ounces in a glass and added a bit of stevia.<br>I couldn't even get it down............nasty taste. Too bad....I really need something like this but I could not take it. I think this product tastes great. Helps with my digestion and gives me a boost of energy. I currently shouldn't drink wine or champaign with some health issues I am having so I pour this in a champaign glass and I feel like I am not missing out. Love it!